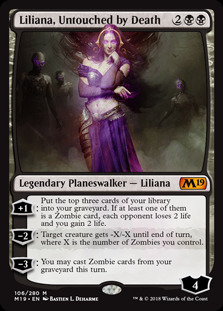 Liliana, Untouched by Death ($8.72) Price History from major stores - Core Set 2019 - MTGPrice.com Values for Ebay, Amazon and hobby stores! Card Text: +1: Put the top three cards of your library into your graveyard. If at least one of them is a Zombie card, each opponent loses 2 life and you gain 2 life. 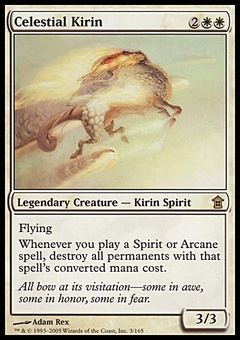 −2: Target creature gets -X/-X until end of turn, where X is the number of Zombies you control. −3: You may cast Zombie cards from your graveyard this turn.